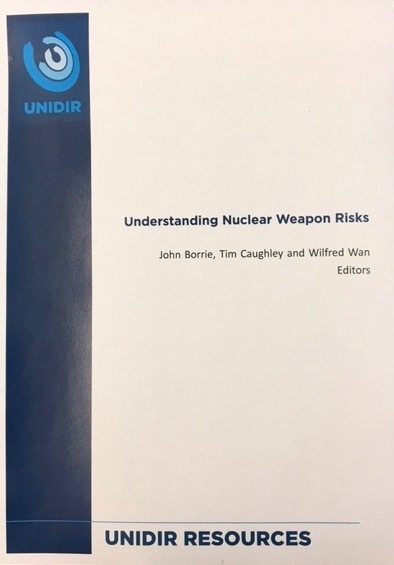 UNIDIR has just published this collection of papers by experts on the nature and causes of nuclear risk. The same experts will be panellists in a risk symposium that will take place at the Palais des Nations on 10 April (see our previous blog). 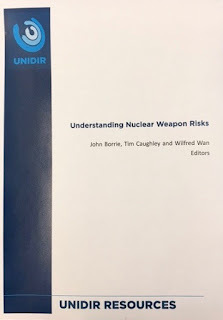 UNIDIR's Director, Mr Jarmo Sareva, notes in the Foreword to the publication that irrespective of differences in how States perceive nuclear weapons, it is apparent that a closer understanding of the components of risk surrounding the safety and security of nuclear weapons is warranted—with a view to reducing the probability of nuclear detonation events. Given the enormous lethality of nuclear arms and their potential for global disruption, all States share an interest in prevention, something the President of the International Committee of the Red Cross noted at the 32nd International Conference of the Red Cross and Red Crescent Movement in December 2015. In 2017, a facts-based discourse that engages the broader international community on reducing nuclear risks has never been more important. This publication and a symposium presenting its findings to multilateral policy practitioners on 10 April are intended to contribute to such dialogue.